For relatives/friends who need a good slap upside the head! Here's a link to an excellent new article that summarizes how Fuku has already caused destruction & predicts what's to come... :-[ IMO a good pass-on to family & friends that need to wake up to rad reality! "The west coast of the United States is being absolutely fried by radiation from the Fukushima nuclear disaster, and the mainstream media is not telling us the truth about this. What you are about to see is a collection of evidence that is quite startling. Taken collectively, this body of evidence shows that nuclear radiation from Fukushima is affecting sea life in the Pacific Ocean and animal life along the west coast of North America in some extraordinary ways. But the mainstream media continues to insist that we don’t have a thing to worry about." "...An EU-funded study concluded Fukushima released up to 210 quadrillion becquerels of cesium-137 into the atmosphere. ...Former MSNBC host Cenk Uygur has admitted that while he was at MSNBC he was instructed not to warn the public about the radiation coming from Fukushima. ...According to Oceanus Magazine, the total amount of cesium-137 that has been released into the Pacific Ocean from Fukushima is 10,000 to 100,000 times greater than the amount released into the oceans by the Chernobyl disaster or by the atmospheric nuclear weapons tests of the 1960s. [Note: Some sea birds that normally hatch 100,000+ young have only had a couple dozen offspring this year. And the above are just SOME examples of the horrible effects on sea & land creatures SO FAR! 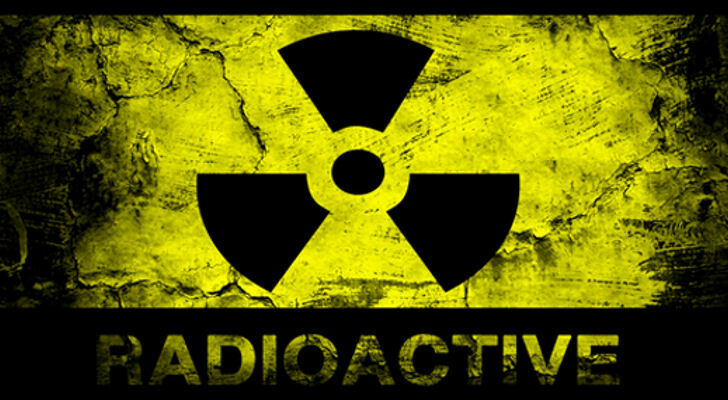 Effects of rad on life forms are cumulative & humans are at the top of the food chain. -Barb]. ...It is projected that the radioactivity of coastal waters off the U.S. west coast could double over the next five to six years. ...This cycle will last for many generations, because of the food chain of fish and other marine fauna, and the radioactivity will be recycled and the meat content will increase rather than decreasing by decay. Even if only one one-hundredth of the radioactivity (more than 1e15 Bq of CS137) were to enter this recirculation pattern, the collective whole body ingestion dose over many generations would exceed 1e7 Sv, sufficient to kill more than 1,000,000 people. ...It is being projected that significant levels of cesium-137 will reach every corner of the Pacific Ocean by the year 2020. ...The Iodine-131, Cesium-137 and Strontium-90 that are constantly being released from Fukushima are going to affect the health of those living in the northern hemisphere for a very, very long time. Iodine-131, for example, can be ingested into the thyroid, where it emits beta particles (electrons) that damage tissue. A plague of damaged thyroids has already been reported among as many as 40 percent of the children in the Fukushima area. That percentage will only go higher. In developing youngsters, it can stunt both physical and mental growth. Among adults it causes a very wide range of ancillary ailments, including cancer. ...Fukushima Reactor 3 exploded in March 2011 as a result of a hydrogen buildup, breaching the building’s containment and emitting a huge plume of radiation. The reactor itself is in meltdown...now, since December 19 2013, fresh plumes of steam have been seen coming out the structure...confirmed by Tepco, the owner...it does not know the cause...Lethal levels of radiation and the physical damage to the structure have so far made entry and inspection impossible. ...According to the Wall Street Journal, it is being projected that the cleanup of Fukushima could take up to 40 years to complete...Conditions in Reactor unit 4 pool are perilous, and if any two of the rods touch it could cause a nuclear reaction that would be uncontrollable...requiring the evacuation of surrounding areas including Tokyo...Yale Professor Charles Perrow is warning that if the cleanup is not handled with 100% precision humanity could be threatened 'for thousands of years'...If a full-blown meltdown does happen, it would be an environmental disaster unlike anything that we have ever seen before in human history."